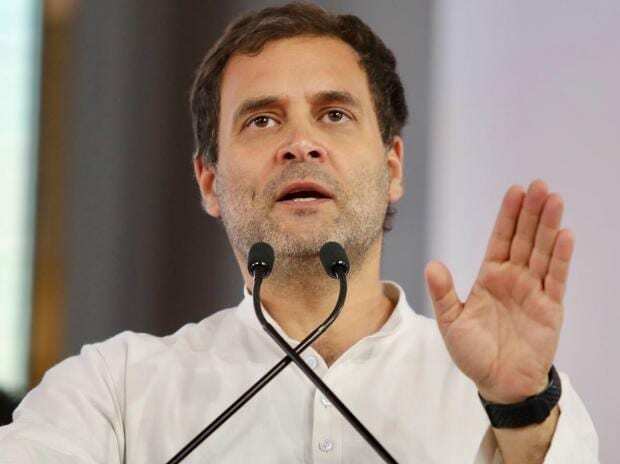 Congress President Rahul Gandhi on Friday said his party's manifesto was an expression of the people of India and ruled out burdening the middle class to fund the anti-poverty scheme Nyunatam Aay Yojana (Nyay). Interacting with students in Pune, Gandhi said the manifesto has been prepared after consultations with all stakeholders. "The middle class will not be taxed and income tax will not be increased to implement the Nyay scheme where Rs 72,000 will be deposited in bank accounts of poor people every year if the party is voted to power," he said. The Nyay minimum income guarantee scheme is estimated to cost Rs 3.26 lakh crore to the national exchequer. The BJP, which has criticised the scheme, has sought to know how it will be funded. Senior Congress leader and former Union minister P Chidambaram has also said the middle class won't bear the burden for implementation of the Nyay scheme. During the free-wheeling interaction, moderated by RJ Malishka and actor Subodh Bhave, Gandhi answered a number of questions, ranging from politics to personal life.